Sun Risers Hyderabad came into existence in 2013 as a replacement for the defunct Deccan Chargers. The franchise made a positive start by qualifying for the play-offs in its maiden season. Having said that, they slipped to the sixth position in the points table in 2014. Remained at the same position in the subsequent year. It was in the last season, when Sun Risers registered their maiden IPL title. Much of the credit belonged to the captain, David Warner, for he amassed 848 runs in 17 matches at an average of 60.57 and a strike rate of 151.42. During the auction this year, Sun Risers acquired the services of eight new players. The auction for them can be deduced as bold and innovative. A squad of 25 consists of 16 Indian and nine overseas players. Notwithstanding the names, they still have INR 12.25 crores of remaining budget. 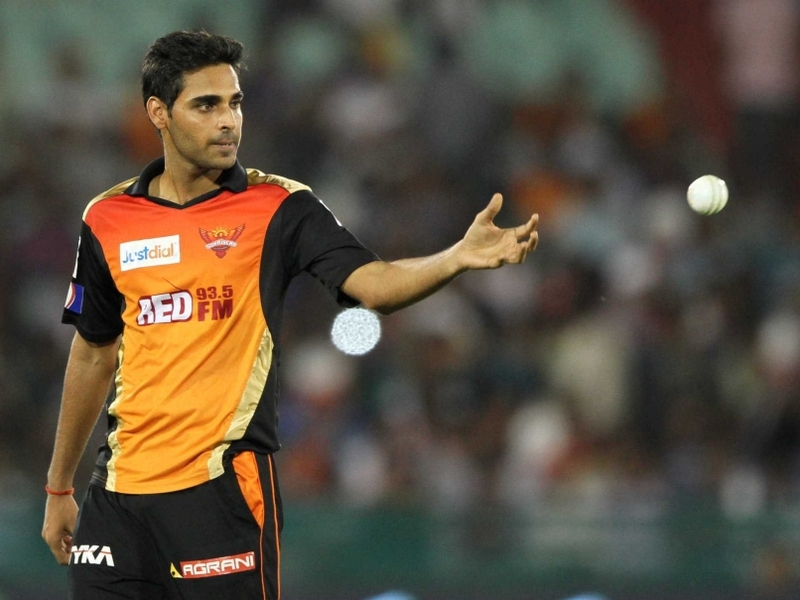 Bhuvneshwar will receive able support from Nehra and Rahman. Afghanistan's wunderkind, Rashid Khan, was their extravagance buy for this season. In what will be his first stint in the IPL, the 18-year old, legbreak bowler, was bought for INR 4 crores. Hyderabad's local boys, Mohammad Siraj and Tanmay Agarwal, were procured for INR 2.6 crores and INR 10 lakhs respectively. Eklavya Dwivedi (INR 75 lakhs) was bought as a potential replacement for Naman Ojha. Chris Jordan (INR 50 lakhs), who represented Royal Challengers Bangalore last year, will turn up for the Sun Risers this time. Afghanistan's former captain, Mohammad Nabi (INR 30 lakhs), will also play his maiden IPL season this time. Australia's Ben Laughlin (INR 30 lakhs) will add more pace to the bowling attack. 45-year old, Pravin Tambe (INR 10 lakhs), will represent Sun Risers as his third IPL franchise. 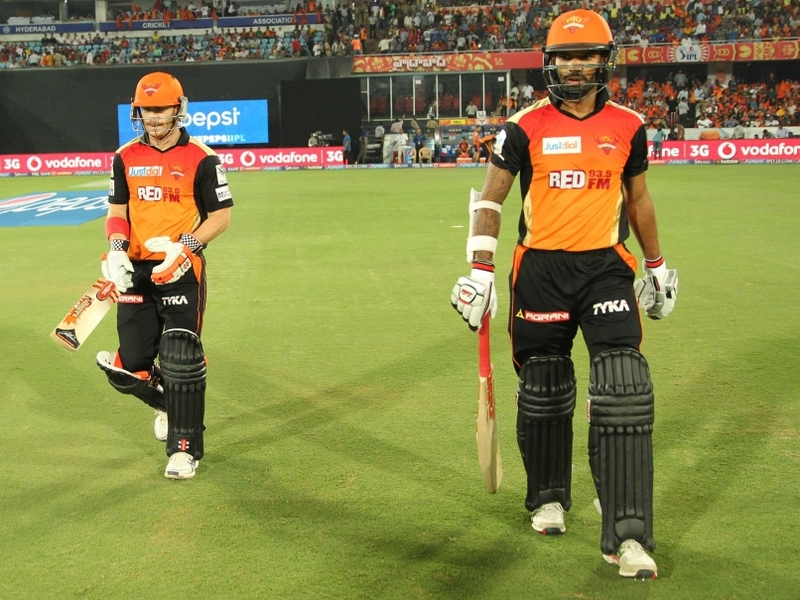 David Warner and Shikhar Dhawan form a formidable opening pair. Warner's brilliance might have overshadowed Dhawan, who scored 501 runs in 17 matches last season. After scoring 223 runs in three Deodhar Trophy matches, Dhawan is back amongst the runs and must be raring to perform in the IPL. Naman Ojha had a dismal season last year and would be desperate to improve the numbers. Words cannot describe the dominance of Yuvraj Singh's bat on his day. Moises Henriques and Deepak Hooda can take on the bowlers in any situation. Vijay Shankar will be high on confidence after his side (Tamil Nadu) won the Vijay Hazare and the Deodhar Trophy under him. Bhuvneshwar Kumar (23 wickets in 17 matches) was the highest wicket-taker last season. Having added some extra miles to his tight line and length, he has become all the more dangerous now. Veteran Ashish Nehra and Mustafizur 'Fizz' Rahman add more firepower to the bowling attack. Considering the amount of money he has been bought for, Rashid Khan is likely to be a part of the playing eleven. The best part about Sun Risers is that barring the top 3, all the players have it in them to chip in with a couple of overs, if required. Warner and Dhawan form a formidable opening pair. With Kane Williamson on the bench, Sun Risers have a modern day great who can fit into any situation as and when required. In Eklavya Dwivedi, Ricky Bhui and Tanmay Agarwal, Sun Risers have three accomplished uncapped Indian batsmen who are most likely to get an opportunity as the league progresses. Covering all the three aspects of the game, Chris Jordan and Ben Cutting are tailor-made for the shortest version of cricket. Australia's Ben Laughlin is another overseas fast bowling prospect. Indian fast bowling quartet of Abhimanyu Mithun, Barinder Sran, Siddharth Kaul and Mohammad Siraj form a strong line of attack. Mohammad Nabi, Bipul Sharma and Pravin Tambe would also be expecting chances coming their way during the course of the season. Bench strength actually looks very strong with names like Kane Williamson, Chris Jordan, Ben Cuttings and also Pravin Tambe. 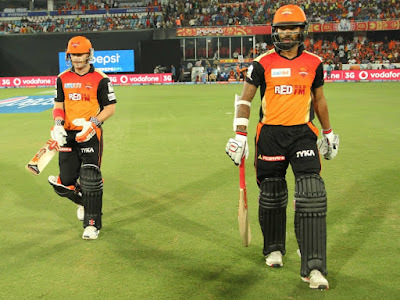 We might see these players playing in the team as well at some point of time in the IPL.